You’ve seen these things, right? Little gray bugs with lots of legs, and when you touch them, they roll up into a ball. They’re invading our house right now. Last night alone we must’ve found half a dozen of them in various rooms, cruising around our carpet like they own the place. Which isn’t so bad – they’re totally harmless, don’t bite, don’t do much of anything that I’ve ever seen. I used to let them crawl over my fingers when I was a kid. Here’s my question: what do you call these things? I always called them one name growing up, and then I learned a second name when I got older, but my wife calls them yet a third thing. What about you? Potato bug. Don’t know why and I know its not accurate. 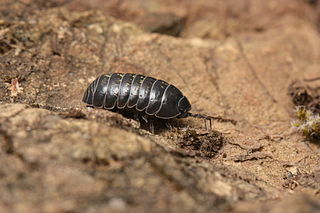 That’s always been a Woodlouse to me. Wikipedia has heaps of names for them. I guess that means they show up all over the place but aren’t talked about enough to get a consistent name.